Jammu, November 08 (Scoop News)- Snow clearance work was completed today on the historical Mughal road from both sides Shopian and Poonch, officials of the Mughal road division said. The officials said that road has been almost cleared from snow and the decision for throwing the road open for vehicular movement would be jointly taken by Deputy Commissioner Shopian and his counterpart in Poonch. Officials from Mughal road division Shopian told that after the heavy snowfall at Peer Ki Gali on 03 November 2018 the Mughal Road was closed for traffic from both Poonch and Shopian side. On the same day, several stranded vehicles were evacuated by the teams sent by DC Shopian and DC Poonch. The officials further mentioned that it was more challenging to perform the rescue operation from Shopian side due to heavy snowfall and three major landslides on way to Peer Ki Gali from Shopian district. Assistant Executive Engineer Mughal Road Division Shopian Manzoor Ahmad said that snow is almost clear on road "Men and machinery worked very hard to clear the road on time," he said adding that all stranded trucks and load carriers have been evacuated. He further said “we are waiting for the signal from both Deputy commissioners to restore traffic on the road,"
Meanwhile the stranded passengers who were given all facilities of food and shelter thanked the efforts of DC Shopian Dr Owais Ahmed for timely rescue and relief provided to them at Town Hall Shopian. It is pertinent to mention here that due to the early snowfall this year, the historical Mughal Road remained closed for almost eight days due to the heavy snow at Pir Ki Gali. 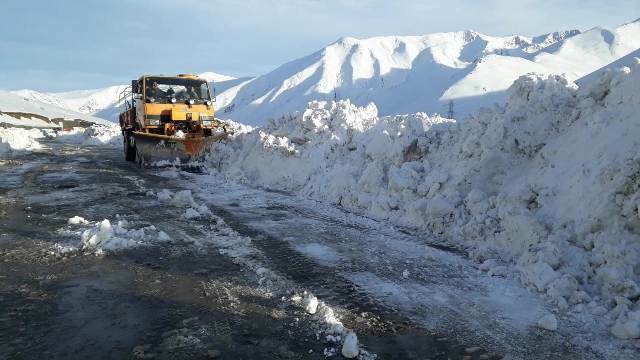 The joint team of officials from Mughal Road and District administration cleared the snow from the said road within five days.